Organic forms of S represent up to 90% of the total soil S. These forms can be classified into two major types. 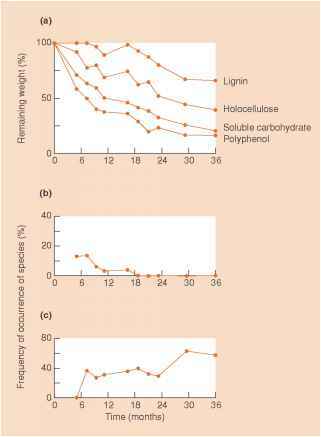 C-bonded S constitutes up to 30% of the organic S and occurs in amino acids such as cysteine, cystine, and methionine; Fe-S proteins called ferrodoxodins; polypeptides; heterocyclic compounds such as biotin and thiamine, sulfinates, sulfones, sulfonates, and sulfoxides (Fig. 15.6). Sulfate esters are the second group and constitute 30-75% of the organic S in soil. These include sulfate esters (C-O-S), sulfamates (C-N-S), and sulfated thioglycosides (N-O-S) (Fig. 15.7). The measurement of this form involves reduction with hydroioidic acid (HI); thus it is often referred to as Hi-reducible S. This is considered to be the more biologically active or labile form in soil.